High-quality polycarbonate transparent cafè chairs to decorate your place, in the kitchen or living room, or your business, such as a restaurant, club or pub. Strong and durable, these chairs are well meant for both indoor and outdoor. Special offer: 16 chairs! The product is certified for professional/public use, a guarantee of reliability. 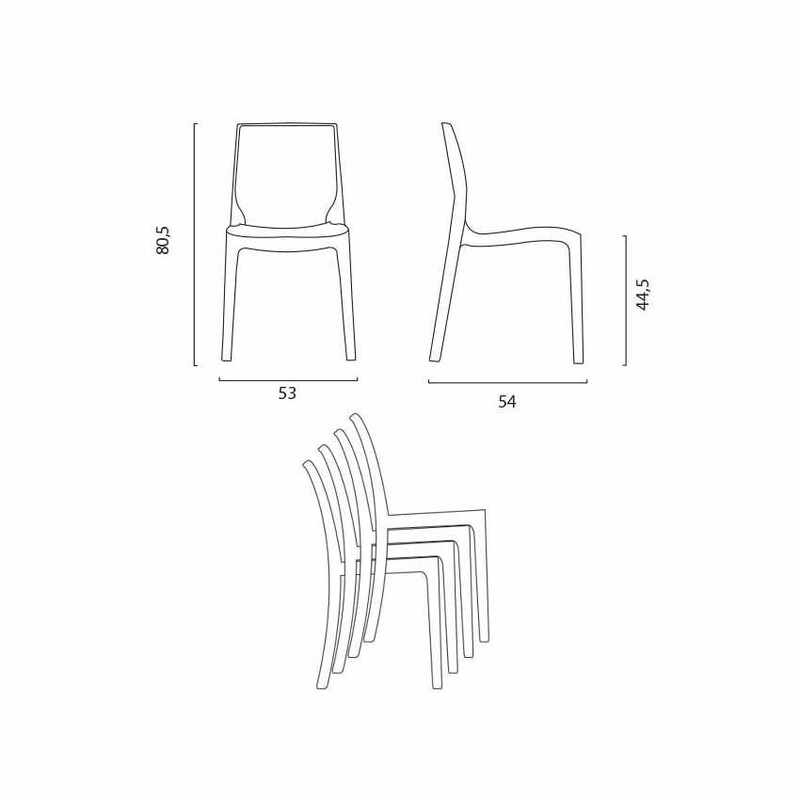 These is a 100% Made in Italy design chair, manufactured using highly developed new synthetic plastic fibers, that look gorgeous on the outside and are extremely strong in the inside. 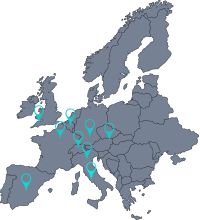 A smart and practuical solution to give class to busy environments, such as restaurants, clubs and hotels. Femme Fatale by Grand Soleil is an exclusive design that comes in many colours, so that you can fit it in all existing surroundings. Comfort is assured by the slight curve in the back, designed to accustom the curve of our own back. The product is in stock and can be immediately shipped as soon as we receive the payment with express delivery. Got a whole stock for my restaurant. Solid, washable and stackable. Nice product. Sedie ideali a chi gestisce un bar, facili da pulire e certificate per uso pubblico, inoltre possono essere impilate nel caso di aree estive. consiglio vivamente! Size: 80,5 x 53 x 54 cm; Made in Italy. 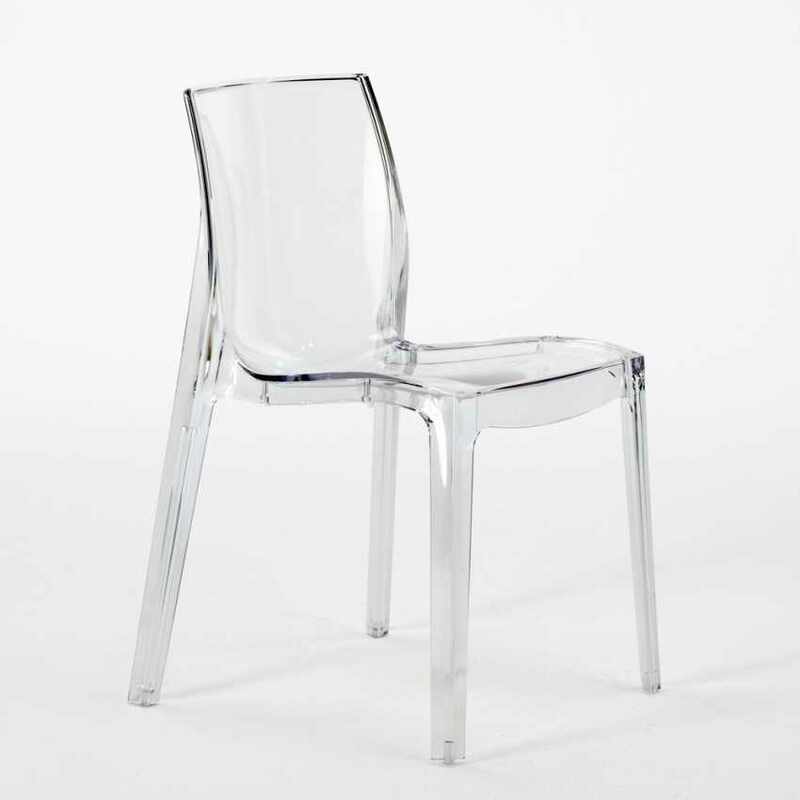 Modern-style, high-quality transparent polycarbonate chair for home interiors and businesses. Ideal for kitchens and living rooms, but also an elegant solution for restaurants and clubs of all kinds. Available colours: transparent, red, anthracite. 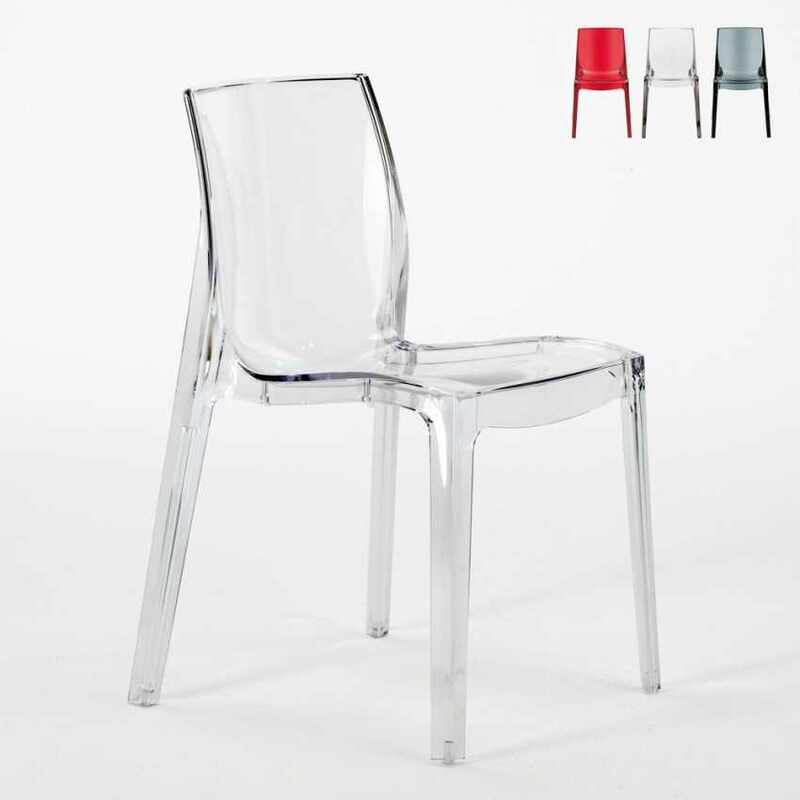 Size: 84 x 50 x 45,5 cm - Made in Italy - Modern-style, high-quality translucent polycarbonate cafe chair, also suitable for living rooms and kitchens. Available colours: red, transparent, anthracite. Suited for both indoor and outdoor use. 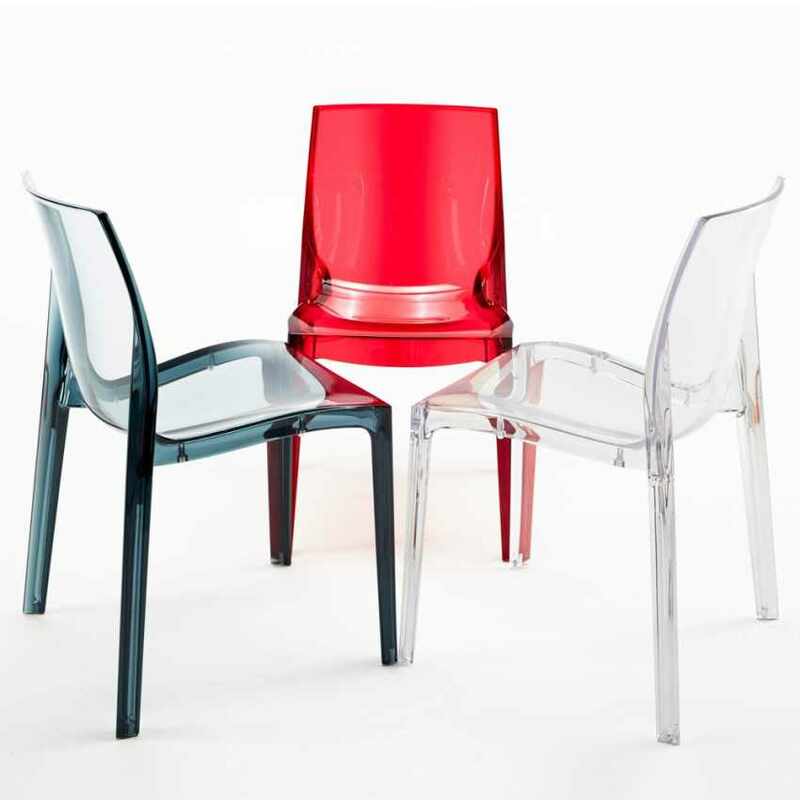 Size: 84 x 50 x 45,5 cm; Made In Italy; High-quality translucent polycarbonate chair to decorate your house or your venue. Ideal for bars, restaurants, hotels and clubs. Available colousr: transparent, anthracite. Size: 81,5 x 50 x 44,5 cm; Made in Italy. 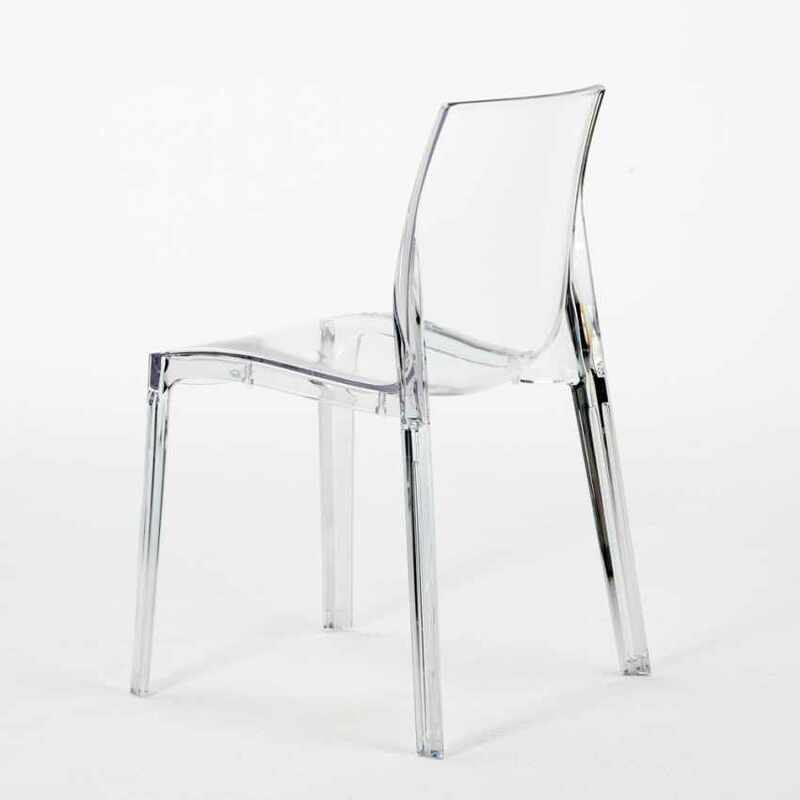 High-quality transparent polycarbonate cafe chair, ideal to decorate homes, kitchen, living rooms, but also cafe and clubs, both inside and outside. Available colors: transparent, red, blue, anthracite.